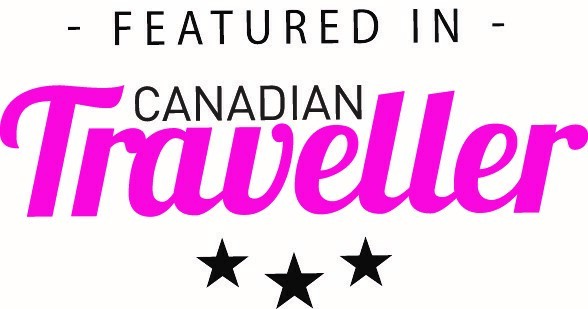 Lori Peterson is an American living in London and the founder of Red Wellie Girl, a blog dedicated to thoughtful travel. 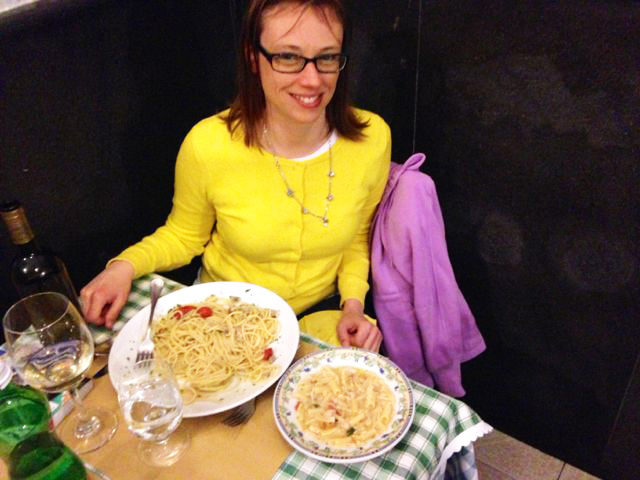 Read on for Lori’s tips for solo travel in Naples, Italy in this week’s Women Who Travel Solo. 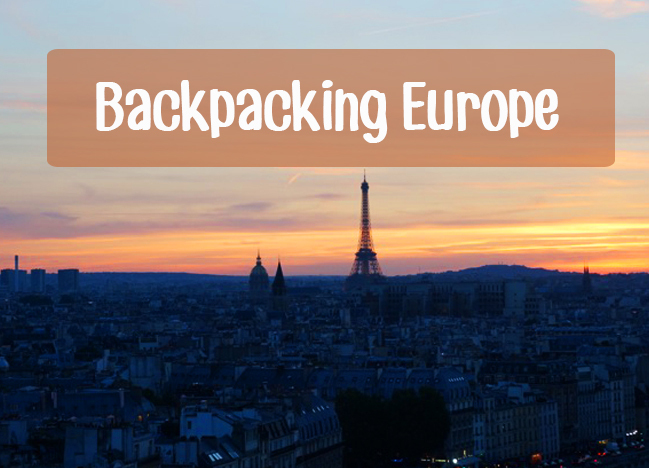 When I was 16, I spent 16 days in Europe with a group of students. We visited eight countries on that tour, taking in sites from the Eiffel Tower to the Swiss Alps. I fell madly in love with our first destination, London and vowed that I would one day live there. Years later, I moved to London solo to attend grad school, and I’m lucky enough to still live and work here. I spend lots of time on short trips in Europe – it’s so amazing what you can see here in just a few days with no jet lag! Why did you decide to take a trip to Naples, Italy alone? I knew I wanted to travel off-season and visit Pompeii while it was empty. Going solo gave me the most flexibility, and I ended up booking a Tuesday-Saturday trip in the middle of February. It was brilliant. 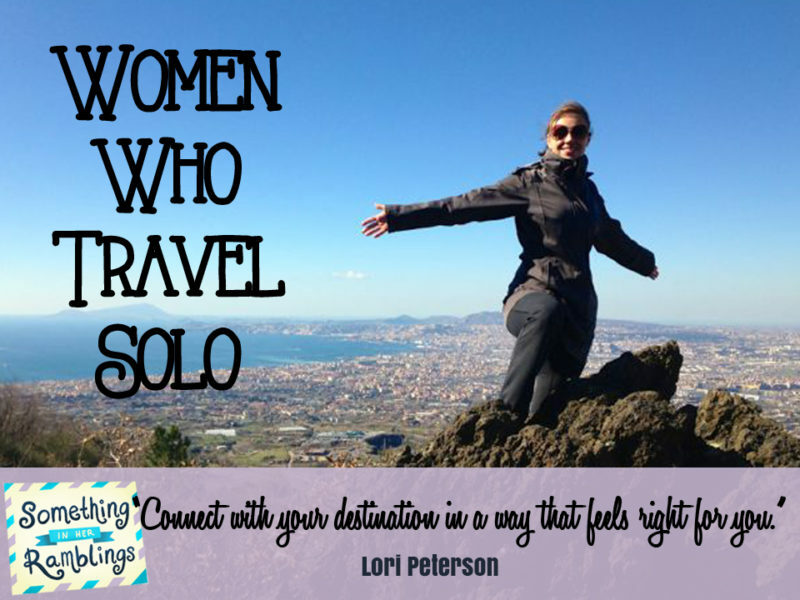 There are so many great reasons to travel solo. It gives you permission to clear your head, focus on what you want to see and connect with your destination in a way that feels right for you. Tell us about your experience with solo travel in Naples. Naples is both scintillating and gritty, rough and beautiful. The city’s history is incredible. Today, nearly all its inhabitants are Italian nationals, making it unique among other large cities around the country. Naples is a lovely place to wander and discover little bits of Italian life. You’ll see mopeds, markets, laundry strung across narrow streets and people walking adorable little dogs while smoking a cigarette and possibly wearing heels. Getting around Naples and the surrounding area is pretty easy with public transportation. You’ll definitely encounter some negative Italian stereotypes, but for every gruff barista or disinterested waiter there are people who will enthusiastically welcome you into their restaurants, businesses and culture. Naples is very affordable as well. What recommendations do you have for solo travelers in Naples? Naples is the gateway to some much-loved destinations, but don’t discount the city itself! I took a brilliant tour of the opera house that included watching rehearsals from the royal box. Walk along the waterfront to Castel dell’Ovo, it’s free to wander the 15th-century structure and take in views of the city, harbour and Mt. Vesuvius. Naples also has some great archeological museums that showcase the objects found at Pompeii and Herculaneum. 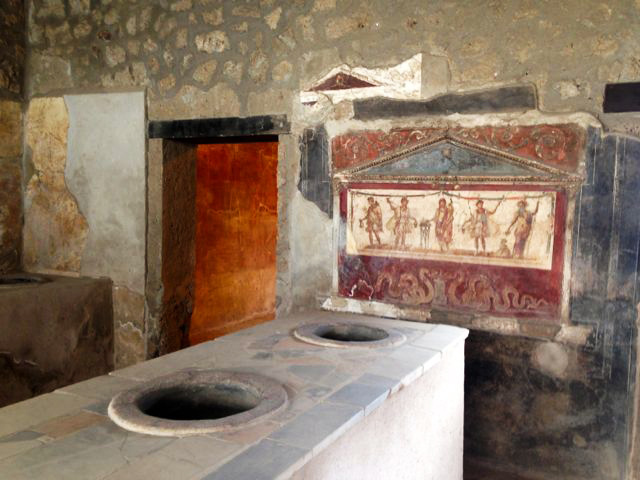 Herculaneum is a smaller, better preserved Pompeii just a short train trip from the city center. I stayed at Hostel of the Sun, which is great for solo travelers. It’s so friendly, and you’ll be able to hook up with other people for excursions, meals or just to hang out. Definitely eat some pizza napoletana while you’re there, and some fried appetizers like zucchini flowers or pasta balls. I found a cute family-owned restaurant called Osteria Il Gobbetto with delicious spaghetti alle vongole and entire bottles of house wine for three euros. 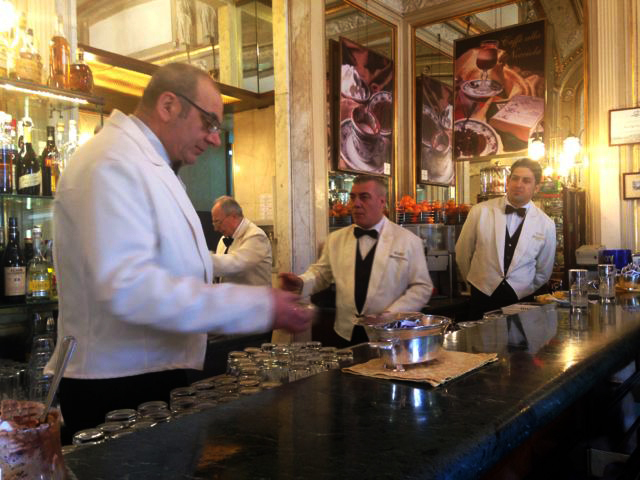 Grab coffee at former Mussolini haunt Caffè Gambrinus and check out its gorgeous interior. On a weekday morning you’ll see stylish professionals wander in, chat a bit with the tuxedo-wearing baristas, knock back an espresso and then leave as quickly as they came. Seeing Pompeii was a highlight. It’s both exciting and thought-provoking to be there. I spent a bit of time losing myself in the streets and imagining how many footsteps had landed there before mine. I also skipped the old town pizzerias and ventured to a place called Starita near Materdei metro stop. The food was outrageous, definitely the best pizza of my life. Sophia Loren once shot a movie scene there, playing an adulterous pizzaiola. The fickle nature of the Mt. Vesuvius authorities! You can technically climb to the crater year-round, but in the winter they often close it due to weather or other reasons. Twice I was in a van ready to roll when driver told us the crater had just been closed. So Mt. Vesuvius needs to wait for a return trip. Are there any safety concerns for women traveling alone to Naples? Pickpockets are a problem in crowded areas and on public transport, so put cash, phone, etc. into zipped coat pockets, or carry a shoulder bag you can hold close against your body. I used to wear a cross-body bag while travelling, until I felt a subtle brush on my bum as a Paris metro pickpocket tried to slide the zipper open. Now I make sure I carry something I can hold and see at all times. Traffic is another Naples safety concern. Use crosswalks when you can, and when in doubt copy the locals. They cross the street slowly and with awareness – no running! When you’re travelling alone, don’t be afraid to give yourself some help. A quick GPS check won’t increase your phone bill much and will save you a lot of headache if you’re lost. Stay safe with an exposure-reduction strategy. For me, that means sleeping in a secure place (hotel or hostel as opposed to airbnb rental), semi-boozy lunches instead of big nights out, and daytime strolls that don’t involve hiking to remote locations. It doesn’t have to feel limiting – you’ll still do and see new things. I also like to take note of local dress and customs so I can blend in a bit. This is probably my top piece of female solo traveler advice. Whatever your age, experience or life situation, there is a solo traveler experience out there for you. It’s perfectly ok to start small, perhaps with a weekend or overnight. If you don’t want to show up somewhere totally alone, join a group tour. Themed holidays (food, surfing, wellness) let you meet people who share your interests. 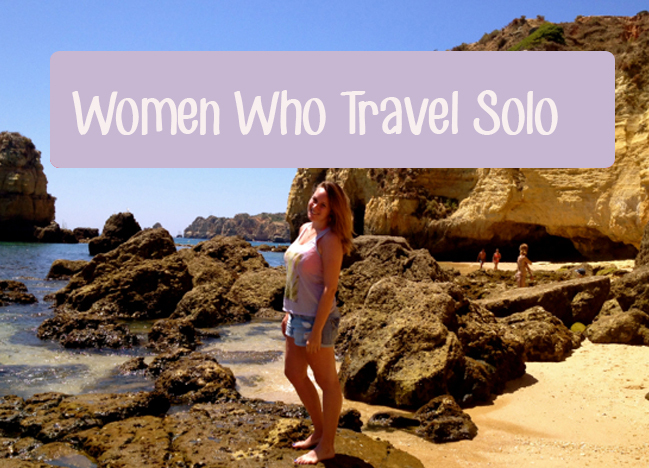 There are also lots of other female solo travelers you can connect with either on the ground or through blogs and social media. 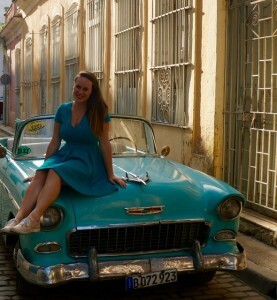 Traveling solo is a fabulous opportunity to learn about yourself and how you like to travel. It’s like a private tour with you as the only client. I’ve discovered, for example, that I’ll plan entire trips around Monet paintings, but I’m not bothered about Renaissance art. Air-conditioning is really important to me; a perfectly central location is not. The insight you gain as a solo traveler will enrich your future trips whether you’re alone or with others. 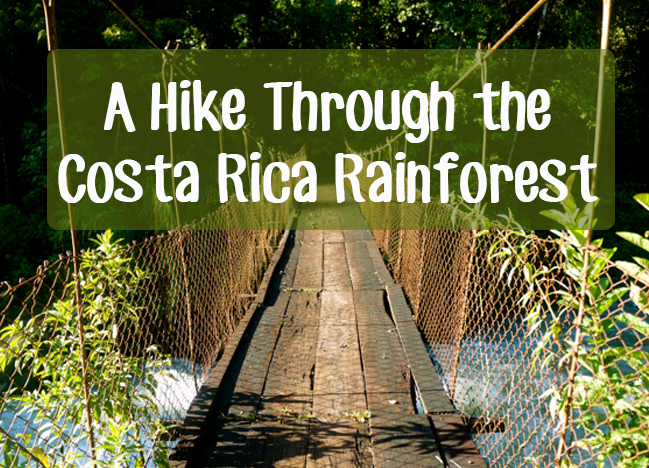 When I first started traveling solo, I felt I had something to prove and wanted everyone to know what a badass I was. In the long run though, solo travel has made me softer rather than harder. I’ve gained a flexibility, tolerance and openness that has allowed me to really enjoy the moment and experience some unique and lovely things. 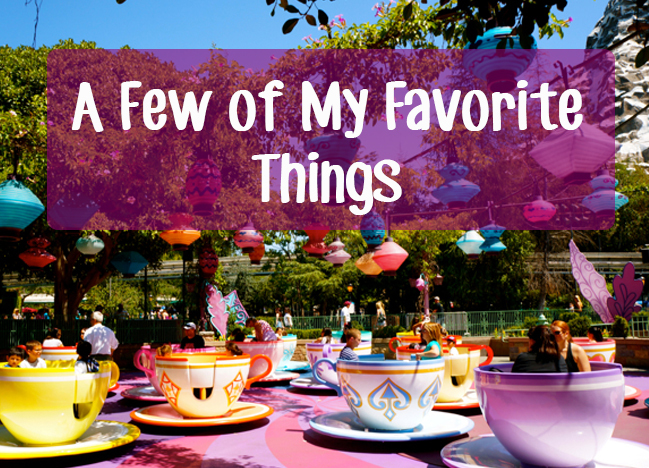 You never know how solo travel will change you until you try it! 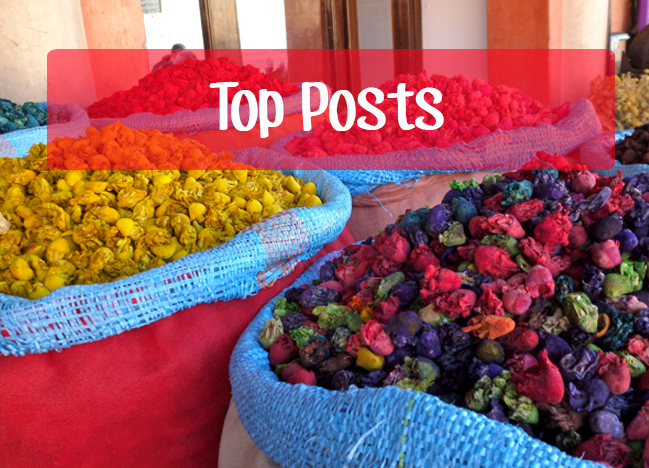 Lori Peterson writes about thoughtful travel at www.redwelliegirl.com. She lives and works in London and spends as much time exploring Europe as she can. When she’s not travelling, researching or pondering her next destination, you can find her on a yoga mat or in the kitchen. One day, she hopes to find the perfect palm tree. Follow her on Twitter or Facebook. HotelsCombined offers the best rates on accommodations worldwide. Find and book your Naples accommodations below. I’ve wanted to travel Europe, especially Italy, for some time now. I know that I would probably be making that trip by myself or with my mom. Since she is from Ireland, I am no stranger to the country, and have often ventured out on my own. Italy is a country I definitely want to visit but haven’t managed to just yet. Thank you for sharing your experience and tips, it’s definitely helpful to see the experiences of a fellow female traveler. 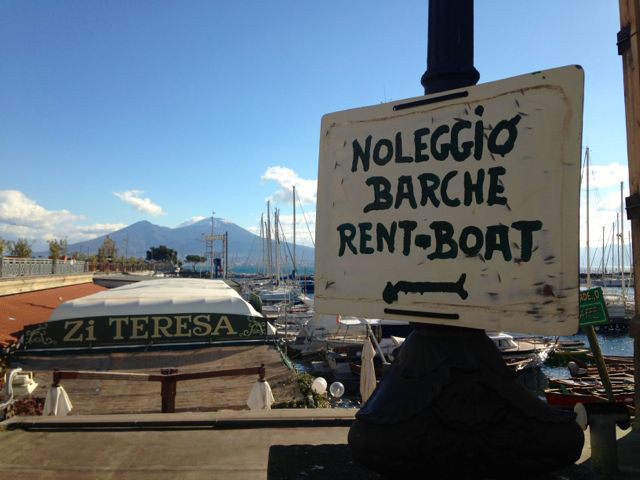 We had read so much negativity about Naples, the crime, being dirty, it isn’t safe…etc. After spending a week there, we’re so glad we went against those thoughts. 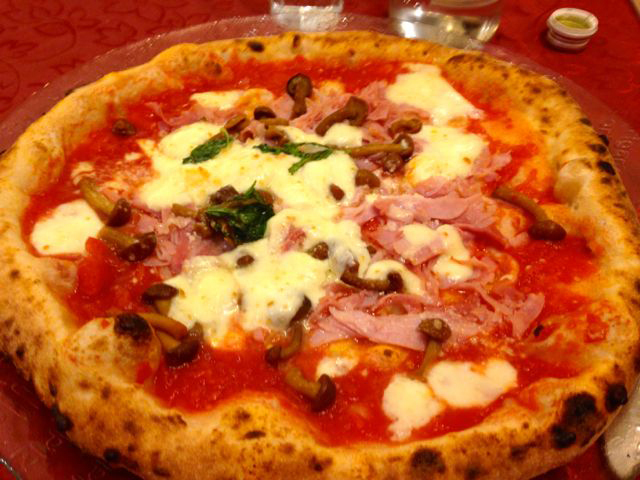 We would absolutely recommend anyone interested in a concentration of all things Italy, to visit Naples and like you said, eat some PIZZA! I am looking forward to visiting Naples. I had no bad encounters with Airbnb so far and thought it would be great to stay in an Airbnb flat in Naples. I would love to hear more – why you see them as a risk, compared to a hostel or hotel. Hey! Thanks for the great advice. I would like to ask how the language was? I only speak English with no Italian or Spanish. Also, why would you not recommend airbnb for single travelers? I was able to get by in Naples finding enough people who spoke English. Looking back now I actually think airbnb is fine for solo travelers. However when I wrote this post airbnb was quite new and so was I yo solo travel so I preferred hotels. Hope that helps and happy travels! Thank you for your post. I was between Rome and Naples for my weekend solo travel in November. Your posts totally sold me and eliminated my fears of Naples. Thank you for writing about this! Very glad to read that!